For more than 20 years, the staff at Innowave Marketing Group has been one of the most successful teams of fully integrated incentive promotions that achieve measurable results. Innowave specializes in adding value to reward programs, promotional giveaways by providing best-in-class lifestyles and experiential rewards combined with a strong commitment to service excellence throughout the program or event. Value-added services include program creation, merchandising, custom technology platforms, program management, research, administration. and precision fulfillment. Innowave's incentive programs can be easily incorporated into your existing budget. We are also dedicated to providing unique reward types (think e rewards! and art rewards!) that will drive customers’ imaginations, differentiate programs from competitors, and boost marketing investments. Our extensive experience servicing Fortune 500 companies has informed our service philosophy that holds you, the client, at the center focal point. Ease of engagement is a top priority, as is providing a collaborative working environment. Innowave… the leading source for innovative reward offerings. Hillsboro, CA October 30, 2018 – The San Francisco Business Times celebrated their Fastest 100 Growing Private Companies at a dinner last night, naming Innowave Marketing Group #15 on the list. 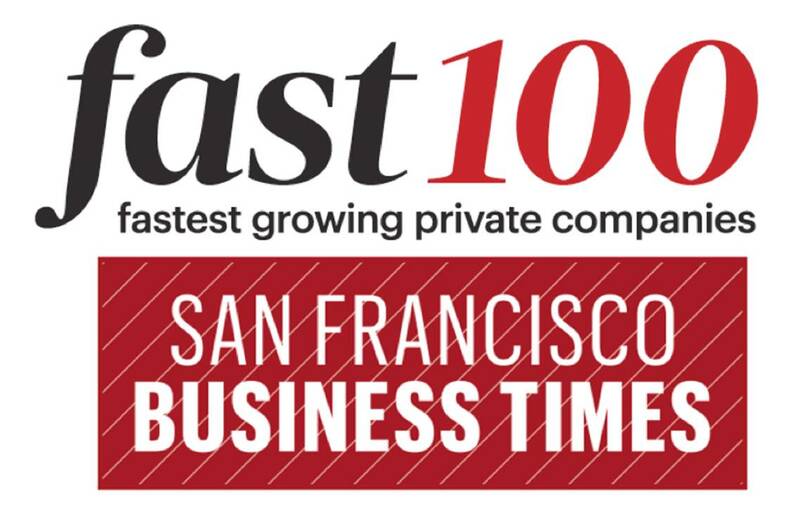 Fast 100 companies reflect a diverse and flourishing Bay Area economy. They span a wide mix of industries — many from the tech world, but also construction and design, real estate, financial services, biotech, advertising, consulting, consumer products and retail. In this annual list, the region’s most prosperous businesses are ranked by their percent growth in revenue from fiscal years 2015 to 2017. Fast 100 companies combined generated $4.7 billion revenue in 2017 and had a median growth rate of 106 percent from 2015 to 2017. These soaring businesses added 6,300 jobs over the past two years, with plans to hire many more in 2019. Innowave Marketing Group is the leading rewards company providing high-end, luxury, and innovative reward solutions unique to the consumer loyalty, sales & channel incentive and consumer promotion marketplace.